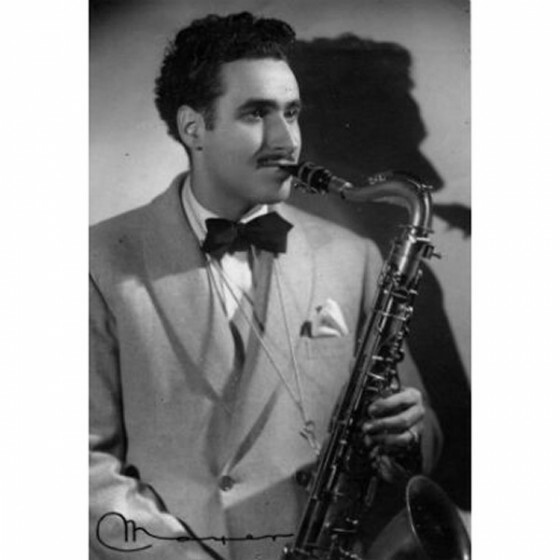 Salvador Font studied violin, clarinet, composition and harmony at the Conservatori Municipal de Barcelona, but very soon started to gain notoriety as a saxophonist in the rich jazz scene of 1940s Barcelona. Font would soon be playing tenor sax and clarinet in the Orquesta Gran Casino. With these and others, Font toured constantly, visiting many countries and even staying on some for long seasons: Mexico, Morocco, Switzerland, Egypt... Hungarian violinst of Turkish ancestry Kurt Dogan gave him the "Mantequilla" surname - he felt "Mantequilla" (which means "butter") fit Font's mellow yet swinging improvisation style. In the early sixties, "Mantequilla" had the chance to lead his own combo, Mantequilla y su conjunto, with which he was to record three superb EPs under Belter and Discophon labels. 'Mantequilla''s career would continue, in 1968 he would settle in Mallorca and form a swing band with Bonet de San Pedro and Manuel Bolao. He played in local orquestras and also with first class world acts like Gerry Mulligan, Tete Montoliu, Errol Gardner, a.o. He was even approached by Henry Mancini to play sax on The Pink Panther Theme in a gig Mancini did with his orchestra in Palma de Mallorca in 1975. He also joined his son Salvador Font (a demanded drummer himself who has played with Máquina!, Orquestra Mirasol, Música Urbana, Gary Burton Quartet, Georgie Fame, and many others) and his peers Carles Benavent, Emili Baleriola, Josep Mas 'Kitflus' and Jordi Bonell with whom he recorded his acclaimed 'Mantequilla' album in 1987.